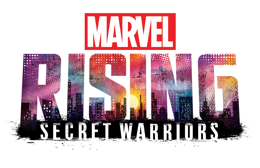 “Marvel Rising: Secret Warriors” is a long-anticipated event, bringing together Marvel’s newest and beloved characters that have garnered major fan excitement over the last few years. Powered teens Ms. Marvel, Squirrel Girl, Quake, Patriot, America Chavez, and Inferno join forces as an unlikely, but a formidable crew of aspiring heroes. When a threat no one could have expected bears down on the Marvel Universe, this ragtag, untrained band of teens have no choice but to rise together and prove to the world that sometimes the difference between a “hero” and “misfit” is just in the name. 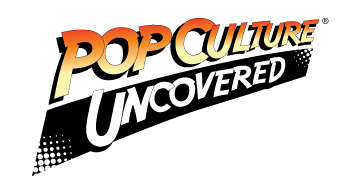 Gwen Stacy aka Ghost-Spider (formerly Spider Gwen) voiced by Dove Cameron (“Descendants,” “Hairspray Live”) – a free-spirited teen who found her calling to be a superhero after being bitten by a radioactive spider and gaining spider-like powers. As Ghost-Spider, she aids those in need, but has to keep her alter-ego a secret from her father, Captain George Stacy, who sees Ghost-Spider as more of a menace than a hero. Captain George Stacy voiced by Steven Weber (“13 Reasons Why,” “NCIS: New Orleans”) – Chief of the NYPD and Gwen Stacy’s loving, but a fiercely protective father. Captain Stacy is a very disciplined, hard-working man that will stop at nothing to obtain justice – who unfortunately sees Ghost-Spider as a menace and a threat to society.